The Penn National board of stewards on Dec. 1 handed down a 45-day suspension and $500 fine to trainer Mario Rafael Rodriguez for “failure to provide proper veterinarian care” to his 6-year-old gelding, Silent Ruler. Track officials were alerted to the son of Roman Ruler and veteran of 50 starts on Sept. 24, and he was found sweating in a stall in Rodriguez's barn, apparently in distress. Photos show his right front ankle was swollen to the size of a grapefruit. According to a report submitted to the Pennsylvania State Horse Racing Commission by Dr. Kate Papp, Papp was sitting around the corner in the shedrow of her husband, trainer Monti Sims, when she was approached by a woman she did not know. The woman, who had a day pass signed by Rodriguez, stated she was there to look at a horse she had found on the trainer listings section of CANTER, an aftercare organization. Papp helped her locate the animal, and could see that on the other side of the webbing, there was something wrong. Papp contacted state veterinarian Dr. John Polowcyzk and took radiographs from outside the stall. The images showed a break in the right front sesamoid with multiple fragments pulled away from the bone. An additional veterinarian later confirmed the horse appeared to be in distress and either needed immediate treatment or euthanasia. A CANTER listing indicated Silent Ruler “was recently injured in a race” but the exact nature of his injuries were unknown because “no diagnostics have been completed.” The racing commission confirmed the horse was added to the veterinarian's list after finishing sixth in a $4,000 claiming race on Aug. 26. Per Papp's report, the group of people outside the horse's stall after she discovered Silent Ruler eventually included Penn National Racing Director Eric Johnston, commission employee Charles Anderson, and Humane Society of Harrisburg Director of Shelter Programs Patrick Noll. 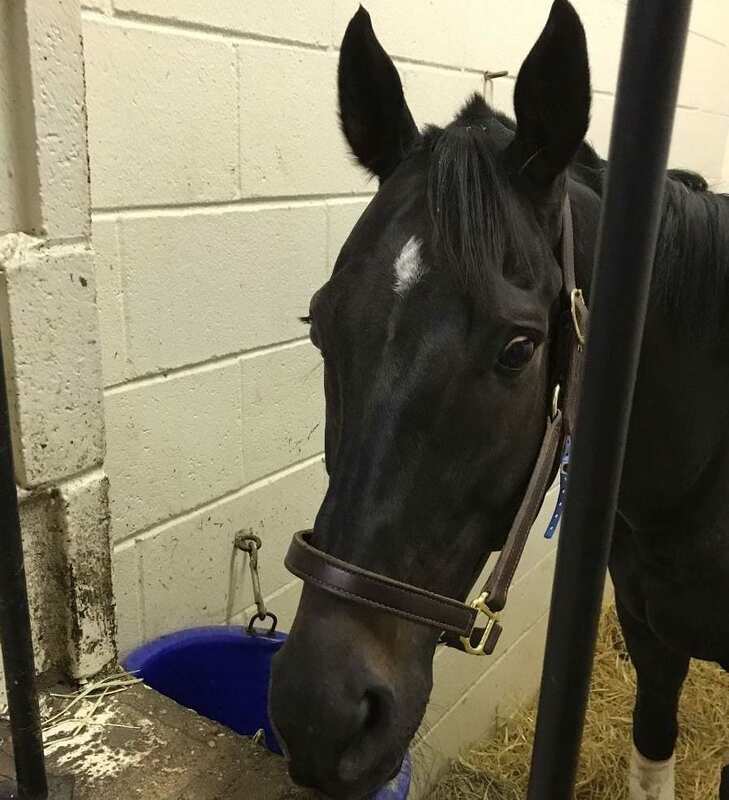 Rodriguez ultimately signed ownership of the horse over to Papp's rescue, Pennsylvania Racehorse Rehoming, Rehabilitation and Rescue. Successful surgery was performed to repair the fracture, and Silent Ruler is recovering well. Total cost to rehabilitate him to pasture soundness is estimated at $12,000. Silent Ruler has spent much of his career at the claiming ranks, but did compete in the Grade 3 LeComte Stakes as a 3-year-old, where he placed seventh for different connections. Rodriguez referred questions about the case to the commission and the stewards. Multiple attempts to reach Johnston for comment were unsuccessful. The Humane Society of Harrisburg declined comment on the incident. Tom Chuckas, director of the Pennsylvania State Horse Racing Commission's Thoroughbred Bureau, stated via email the commission had conducted an investigation into the matter, but declined to provide the Paulick Report with a report from that investigation. Rodriguez has saddled 50 starters since Silent Ruler was discovered in his barn. He retains his stalls on the backstretch. Rodriguez's suspension is scheduled to begin Jan. 1 and run through Feb. 14. Penn National will be closed for the first two days of his suspension, and run four nights per week after that. “The Commission will not undertake additional actions,” Chuckas said. 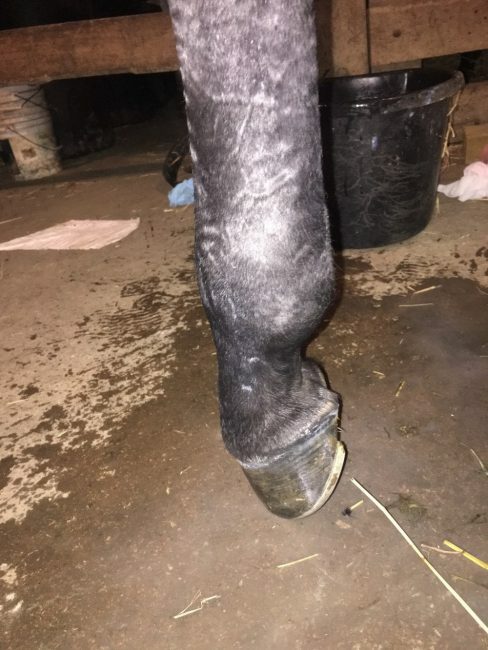 Correction: An earlier version of this story stated Dr. Jerry Pack, association veterinarian at Penn National, was called to the horse's stallside. In fact, it was state veterinarian Dr. John Polowcyzk. The Paulick Report regrets the error. This entry was posted in NL Article, The Biz and tagged Charles Anderson, Dr. John Polowcyzk, Dr. Kate Papp, Eric Johnston, Mario Rafael Rodriguez, penn national, Pennsylvania, pennsylvania state horse racing commission, Silent Ruler, tom chuckas by Natalie Voss. Bookmark the permalink.